Does long-form journalism have an audience even at BuzzFeed, the place where 33 animals are extremely disappointed in you? The site’s editor, Ben Smith, has found that it does. Now, how about that BuzzFeed book? 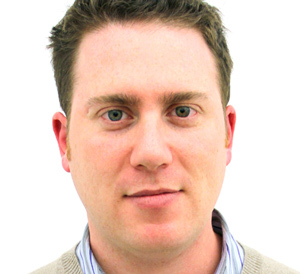 When Ben Smith, one of our freshly minted Most Creative People, took the helm at BuzzFeed, fans of his Politico coverage were interested to see how an infusion of serious reporting would alter the site. 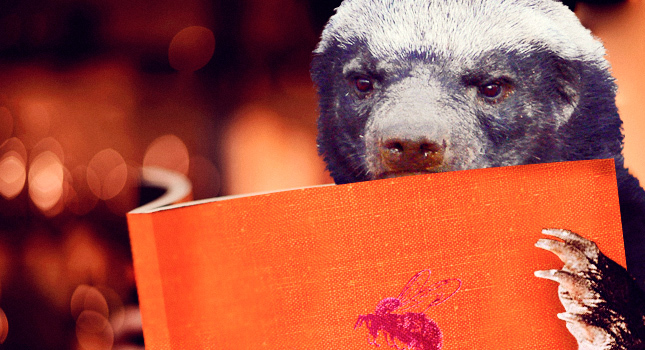 It made sense, particularly with a presidential election looming, this idea that political news–or any juicy, newsy tidbits–could go viral to a degree traditionally reserved for honey badger mashups. Over the last few months, though, Smith has not only been remaking the content of the site but also experimenting with the form. BuzzFeed is meme-y, and memes are brief. And yet under Smith’s tenure, BuzzFeed is becoming a place for the occasional work of long-form journalism: in-depth stories whose word counts approach what you might find in the feature well of The Atlantic, The New Yorker, or Fast Company’s print edition. Can length go viral? And does it matter? We caught up with Smith to talk about waning attention spans, powerful Jews, and the possibility of a BuzzFeed Books imprint. FAST COMPANY: So BuzzFeed’s into long-form. What’s the longest you’ve gone on the site? BEN SMITH: I haven’t done a word count, but a bit over 3,000 words. The Bryan Fischer piece is around 3,000 words. Do you assign at that length? I don’t really assign a length. I think things should be as long as they need to be. I typically want to cut things down. I have two theories about this. One is that the kind of content people want to share is the kind of stuff the creator often put a ton of work and a lot of heart into. That’s even true of some of our lists. Some of our lists are very long-form. Look at a list like “33 Animals Who Are Extremely Disappointed in You.” The writer probably took eight hours to do that. The other theory is that stuff can be short or long but there’s a valley in the middle. A lot of stuff on the web is short stuff that can be consumed very fast; it’s not asking for a huge investment, and it’s delivering on that modest investment. Then there’s sort of a valley around 1200 words. Take a 1200-word story about what happened on the campaign trail–“this happened, then this happened.” It’s this wooden form determined by ad holes in newspapers that no longer exist, and not at all by the needs of the reader. The valley bottoms out around there, and you climb out on the other side, with people writing longer-form narrative driven by the story itself, shaped by the content. That’s actually a reaction button on BuzzFeed. It’s a reaction some users can earn, a gamification thing. Active users can earn the right to vote things as tl;dr. If I’m reading news on the internet, I would vote three-quarters of what I read tl;dr. There’s a fact that can be stated with three sentences, or in an image with captions. There are things that do not need to be explained. Any story that says, “Joe Biden, the vice president”–that’s tl;dr.
A lot of people probably turn to BuzzFeed expecting a quick hit. Will they be surprised to be asked to spend 15 minutes reading something 3,000 words long? Old media people have no attention span. People used to the quick hits of the blogosphere of the early 2000’s don’t have the same attention for blog posts as our younger consumers. It’s 48 things, and a lot of the things are not one image. This took Matt hours and hours to make. It’s something that surprised me when I got to BuzzFeed, the length of these lists, the time editors take into making them, and the time expected of readers to consume them. What’s the longest you would go on BuzzFeed? I could imagine any length. Sure. But I don’t want to fetishize it. I think things should be as long as they need to be. Most things should not be books. Absolutely. The novella is back too, as a part of this. I think many of the forms we write in were dictated by platforms we’re not using anymore. Is Robert Caro’s multi-volume biography of LBJ an idea expressed at its natural length? Old media people have no attention span. People used to the quick hits of the blogosphere of the early 2000’s don’t have the same attention for blog posts as our younger consumers. Evidently, yes. Clearly. If you take the amount of time Caro put into writing that, he’s probably writing way fewer words per hour than your average blogger. I think he’s being very economical, compared to a lot of people out on the web. That book has basically gone viral. Obviously, there’s not a great way to share a giant tome, but there are a lot of people talking about it. What do you think? Should we do BuzzFeed Books? I think a lot of the language of BuzzFeed–LOL, WTF–is very bloggy, and probably doesn’t belong in a book. I agree. I do think that sometimes those emotional reactions sometimes break it for long-form journalism. There are certain stories where you feel like “fail” is not an appropriate reaction to the nuances of a story about some personal narrative. We can take them off, and once in a while we do. What are your own long-form reading habits? I subscribe to The New Yorker and New York, and I Instapaper all sorts of stuff. I read novels. I have a long attention span. I’m just opposed to boring long reads, but so is everyone. I do think that our core audience are people who are at work, so there’s a limit. I think someone can spend 15, 20 minutes at work, but I think a 20,000-word essay makes more sense in a magazine. Is your long stuff performing well? For sure. Although I would hedge that. There’s not the kind of mass audience for political stories as for cute animals. Everyone cares about cute animals, including those who also care about politics. The reverse isn’t true. I worry that when shareability is put first, sometimes important journalism can fall by the wayside. I do worry about that. My biggest worry is that people prefer to share good things. People don’t want to be publishers of depressing news. The tabloid culture I came out of–the New York Daily News-style “it bleeds, it leads”–can be very toxic. But I worry social can privilege happy talk. Any news organization has reporters who want to tell the truth to people and do great stories that are depressing, creepy, or disconcerting in a way no one wants to share. You can’t run a news organization trying to maximize the traffic on every story. If a smart investigative piece got a mere 100 views, would you judge it a failure?